Unwind after a stressful day in the all new OS-5000 Comfort Series massage chair. It’s designed to lend itself to the fashions of today’s furniture. It’s simple and timeless design is easy to incorporate with the surroundings of most homes. 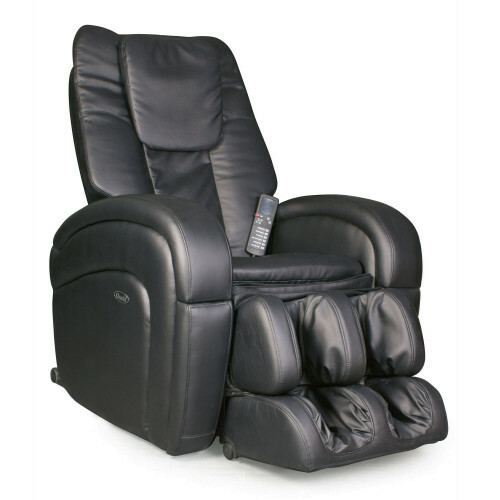 Simple in Design but considered one of the most advanced massage chairs in the market. 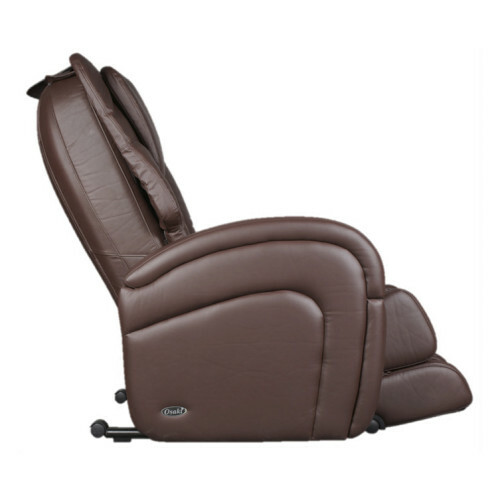 Along with its clean lines, the chair is lush and well padded to provide extra comfort and support, unlike other massage chairs that tend to be very firm and rigid. For the safety of the user, the chair has a built-in 15 minute timer which will turn off the chair to avoid muscle bruising, in the case the user falls a sleep. To improve the depth of the massage it provides a heat massage in the lower lumbar area to relieve muscle tension and pain. This chair has a suggested weight limit of 265 lbs to prevent from motors and circuits from breaking down prematurely. Massage actions include Shiatsu massage, kneading, clapping, tapping, rolling, dual-action, tri-action and vibration, while the innovative Auto-Scan feature automatically adjusts each massage to your body. 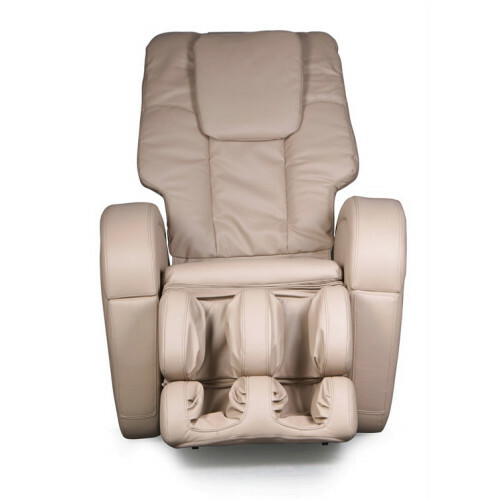 The OS-5000 provides one of the largest varieties of massage types – Shiatsu massage, kneading, clapping, tapping, rolling, dual action, tri-action, and vibration. Advanced Computer Body Scan – For the fist few seconds of the massage the chair will map your body to provide a custom massage specific to its user’s body type and size. 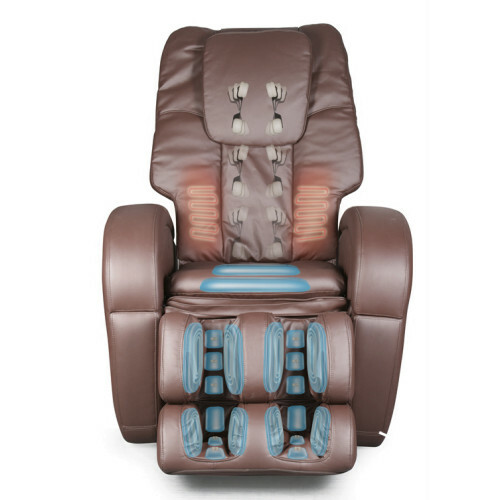 Air Pressure Massage System – Invigorating air pressure massage is applied to the calves and feet area. Air bag are inflated and released to create a squeezing style of massage. Pre-Programmed Massage – 7 pre-programmed massages are available with customizable strength, speed and intensity. 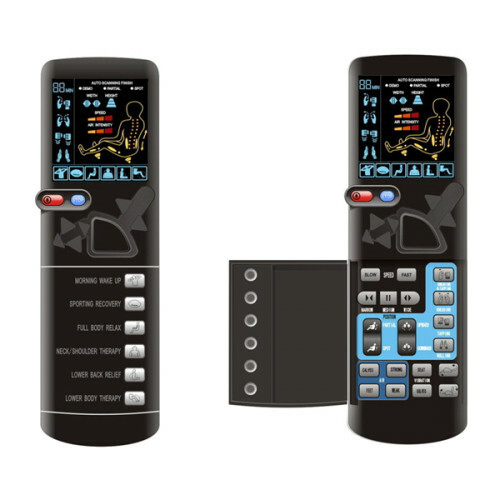 Adjustable Massage – The easy to use LED remote allows you to adjust speed, roller and massage areas at the touch of a figure. The hand held remote is light and brightly lit for easy visibility. 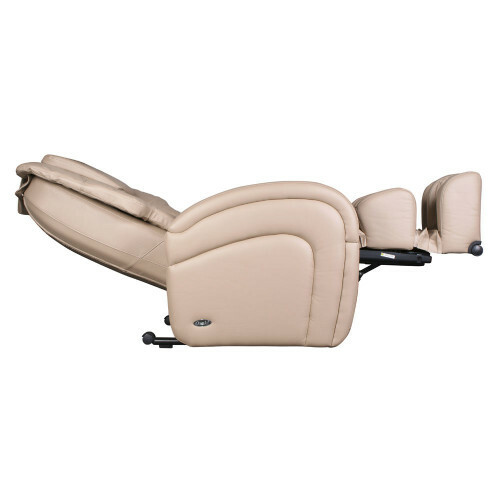 Backrest and Leg ottoman Adjustments – Angle of the backrest and footrest adjust is full automatic with automatic leg extenders for the taller person. This allow for someone as tall as 6' 3"o enjoy the benefits of the new OS-4000 in comfort. Program Timer – 15-minute massage programs with an automatic shutoff. Extended Warranty: 2 Year for labor for total 3 year parts & labor.